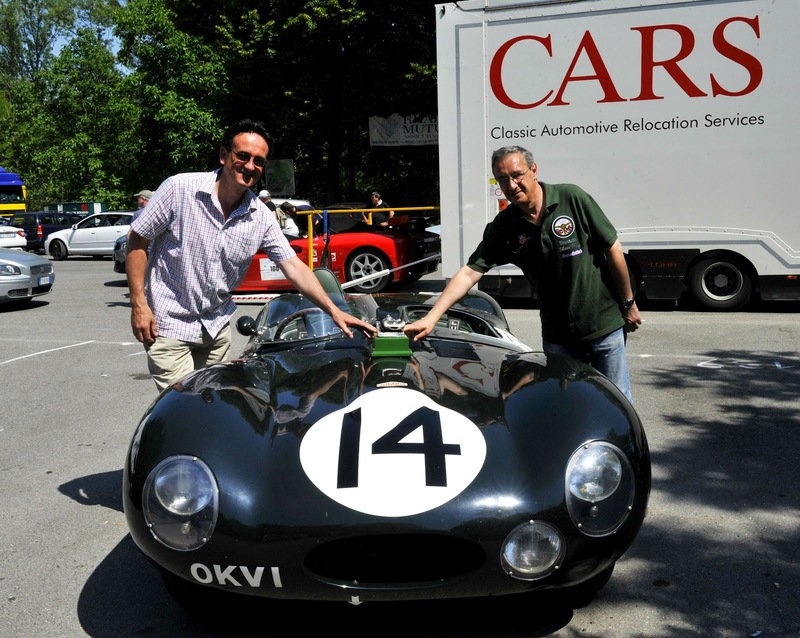 The first works D-Type OKV 1, which came second at Le Mans in 1954 and is prepared by *Classic Motor Cars of Bridgnorth in Shropshire, won the award for Best of Show at this year’s Vernasca Silver Flag event. The driver, James Baxter from Huddersfield, received a trophy that was a replica of the car sculptured by one of the organisers of the event, Claudio Casali. This year the Silver Flag event celebrated “The best of British” and the winning trophies had been modelled on the famous D-Type. On hand to congratulate the driver and the car was Norman Dewis, Jaguar’s famous test driver, who along with David Piper were special guests at the event. Every year the famous hill climb, which attracts cars from all over Europe and beyond, celebrates a particular marquee and this year the organisers wanted to attract the best of British. Enthusiasts responded by bringing a huge cross section of cars. Including a 1933 Riley Brooklands owned by Tomas de Vargas Machuca, the Managing Director of HERO Events, which won best pre war car. Marques included Aston Martin, Frazer Nash, AC, Cooper, March, Lotus, Alvis and many more. * Founded in 1993, Classic Motor Cars of Bridgnorth provides within a Jaguar restoration service to the highest possible standard. It is recognised as one of the worlds leading, if not the leading restorer of classic Jaguars and is responsible for restoring some of the most historic Jaguars ever built. Staffed by a highly experienced team of engineers and technicians based at its Bridgnorth, Shropshire workshops – which currently cover over 35,000 sq ft – CMC is able to provide an international clientele with a range of services from a simple oil change, performance and handling upgrades to full restorations and even bespoke car design and manufacture.